Okay. Let me tell you a secret. I’m frustrated now. I’m frustrated because I force myself to write in English. I have to write a blog post in English. Problem is I don’t know what to write. I have no idea. Every time I want to start writing, my mind goes blank. Besides, I am too focused on grammar and vocabularies. I’m afraid that I will make grammar mistakes. I over think what kind of words, idioms, or phrase that I shall use. I want my writing to be perfect. So, after a line or two and if I’m not satisfied, I will delete it and stop writing. I don’t have a problem in reading. I read book and articles in English all the time. And I am okay in listening. My major problems are in writing and speaking. I’m always stuck in grammar and vocabularies. Like I said earlier I’m afraid and ashamed of making mistakes. I don’t like making any mistakes. I know that I should keep practicing and ignoring all those negative feelings, but I just can’t put them aside. I think it is the reason that keeps me away from practicing. My English won’t get any better if I don’t practice it. I tell you what… This is frustrating. Really. I’m not making this up. I hate it. Right now I’m really forcing myself to write. I’m ignoring the “it has to be perfect” thoughts. Because I have to write something, let me now tell you what my friend has just told me. My college friend, Adianto Nugroho, read this blog. He told me that my writing was quite good. He was kind of disbelief that I could write some serious stuffs. He said back when we were in college the only two things that I could write were curhat and my daily activities. Now, he said, I’m growing up, so are my writings. I told him that was because I had been blogging since 2006. I read various blogs. I learn from those blogs. More importantly, I keep writing. From the cupu writing in early years to better writing now. Here consistency is the key. I keep reading and practicing to write. Those two things sharpen my writing skill. Please don’t compare me with famous bloggers with exceptional writings. I know I’m nothing compared to them. You may think that my writing is just so-so or nothing special. It’s okay. I realize my capability. Speaking of consistency, as you may already know actually I’m not a strong-willed person. I get bored easily. Maybe I’m on fire at first, but the next time I already lose my interest. No wonder I become a mediocre. All my life there are just a few things that can make me consistent. First is futsal. Second is blogging. I’m consistent because I love doing them. It’s difficult to be consistent in doing something that you don’t like, right? Suddenly I’m thinking next time I should write about habit. Why? I don’t know. It just popped out of my head. By the way, I just read Mbak Neny’s blog for the first time. And she wowed me. Other than her academic achievements (I bowed to her! I should make her as my one of my inspirations), she has known blog since 2003! Wow! And she’s still blogging. Another wow! And she writes good. Damn good. Seorang blogger kondang bercerita pada saya tentang semacam kompetisi dalam dunia perbloggeran di lingkaran pertemanannya dengan blogger-blogger seleb. Menurutnya, kompetisi macam ini sering kali jadi ajang ejek-mengejek membanding-bandingkan sejak kapan mulai ngeblog untuk menentukan siapa yang lebih duluan mengenal dunia perbloggeran yang lalu mempengaruhi seberapa selebnya status si blogger. Semacam ada korelasi berbanding lurus antara lamanya seseorang ngeblog dan status selebnya. 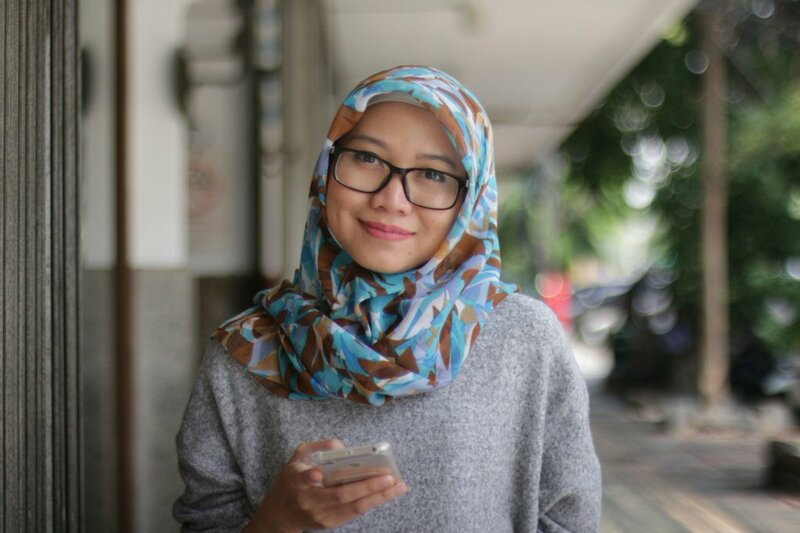 Semakin lama ngeblog, semakin seleblah ia sekarang. Well, what is seleb blogger? What are the criteria to call someone as a seleb blogger? If it’s only for how long s/he has been blogging, then shoot me for not becoming one. Surely I have wasted 10 years of my life for blogging and achieve nothing from it (lie! Of course I get something from blog. Friends are number one on the list). Not even a status as a seleb blogger. Am I sad? Nope. Do I care? Obviously not. Then it leads me another thinking (gosh, now I'm in love with unstructured writing like this. It lets my mind flow). I’m asking myself actually. Why is it now we do really care our image in social media? Why do we compete each other in order to become famous? What is so important about internet that we have to be famous and make us create fake persona? No need to answer these, though. I’m just musing. And now I have an idea what to write next. So, that is all for now. See you at my next blog post! Ah, I'm flattered, Kimi. Thank you for the high praise. But it actually makes me uneasy, like I'm writing for flattery. I'm writing because I want to write. I'm writing because I need to spit whatever uneasiness I have in my mind or in my heart. I'm not that consistent in writing essays, and it is my weakest skill among the other skills. But you are totally right: reading others and writing consistently do make a difference. I don't really care about my social media image (and the one in real life as well). I do have haters, but I don't lack of lovers. As long as I don't harm them in any physical ways, I don't think it matters. I enjoy your writings, even before you read mine (yeah, I stalked you. A bit.). Keep writing, and I'm looking forward to your next posts. For your next blog, why don't you write abut your fave TV show or books? What is this "newbie" thing? Halah.